In a deal that could cost close to 50 million euros, Real Madrid identified that they had to move quickly to secure the services of starlet Vinicius Junior, so as to not land themselves with a situation similar to the Neymar transfer, when they allowed him to slip through their fingers to arch rivals Barcelona. 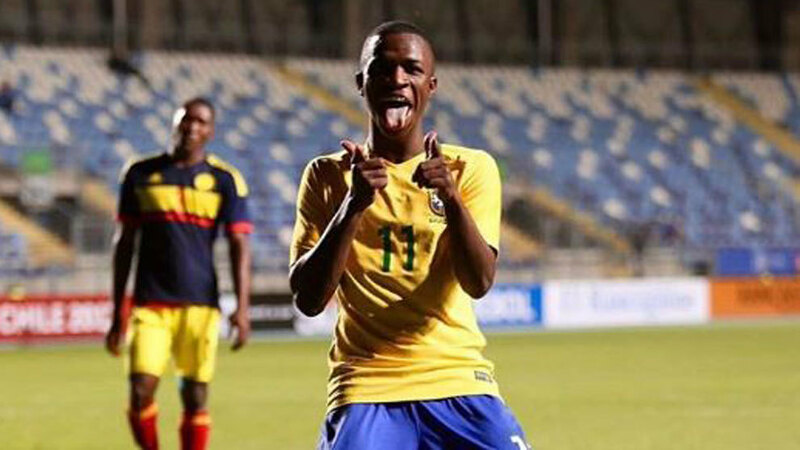 The latest jewel of Brazilian football and soon to debut with the first team of Flamengo, Vinicius Jr. astonished the world of football in the recent South American Under 17 championship, confirming what everybody who has seen him play already knew. Since last January, the greats of European football have been fighting for his signature, but GloboEsporte reported on Saturday – and MARCA is able to confirm – that Los Blancos have stolen a march on all of their rivals. Although the player’s termination clause was set at 30m euros, it’s now thought that the deal will total somewhere in the region of about 49m. That’s because there have been several teams that put the money forward but Real were desperate to secure the services of a player being touted as Neymar’s successor. Indeed, representatives of the club travelled to Rio de Janeiro to close the deal and ensure that the Neymar case was not repeated. “You have to sign the player now,” was the message that they were being told, something they were only too happy to accede to, given that many consider Vinicius Jr. as someone that can define a new era at the Estadio Santiago Bernabeu. Real convinced the player, his family and Flamengo, but Vinicius Jr. will not be able to play in LaLiga until the 2018/19 season. Now, he has a year ahead with the first team of Flamengo, but with a contract in force at Los Blancos. Barcelona, it seems, were too overconfident, the board putting their trust in Andre Cury, someone very close to the player. On this occasion, however, the presence of the man responsible for the signing of Neymar has not been enough.